Ellis Short has said “sorry”. 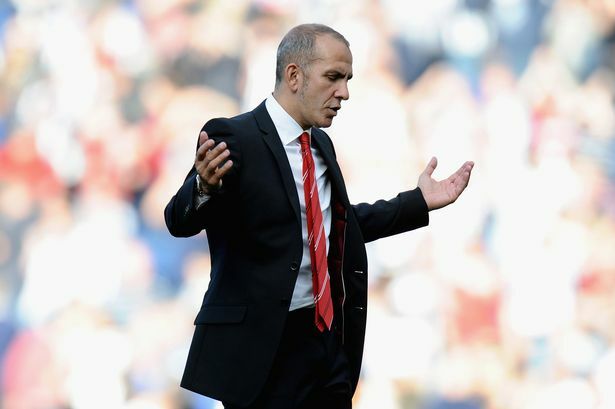 Paolo Di Canio and Martin O’Neill have both made their excuses. The only man yet to explain his role in the sorry state Sunderland find themselves in is Roberto De Fanti, the director of football who has been handed an influential and wide-ranging role in re-shaping the Black Cats. That, surely, has to change with Di Canio’s latest outburst. The Italian’s claim he was delivered none of the players he recommended to the board is a remarkable one. It suggests that, even though Short was prepared to back Di Canio through the political storm which followed his arrival, it was De Fanti who was given the keys to Stadium of Light. That also tallies in with the version of events which filtered out of Wearside in the wake of O’Neill’s departure. The former Sunderland boss was introduced to De Fanti at Loftus Road in the hours after the Black Cats had suffered a humiliating reverse to QPR, a result which began the process which ultimately led to his sacking. De Fanti must now justify his role at Sunderland. Of the 14 signings made by Sunderland, only a handful have added significantly in areas the Black Cats needed to strengthen. Midfielder Ki, on loan from Swansea, looks to have a future at Sunderland while Jozy Altidore, while yet to find the back of the net, looks to have added something up front. Ondrej Celustka is a capable right-back while Emanuele Giaccherini has talent, but is yet to find a position. The rest? 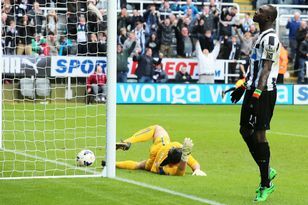 Vito Mannone might yet outshine Keiren Westwood but was hardly unknown to Sunderland before De Fanti’s appointment. It would be polite to say the jury remains out on Cabral, Mo Diakite, Valentin Roberge – all senior players intended to challenge the first team – while time is on the side of the rest. It is not much of a hit rate given the unprecedented power wielded by De Fanti and there are signs Gus Poyet (left) remains unconvinced about the role the former agent has played in the recruitment drive. He was less than effusive when asked about the Italian two weeks ago. The choice is apparent – De Fanti either needs to justify his position or the clamour will grow louder. Simply operating in the shadows will not do at a club like Sunderland, where supporters are used to accountability. Short recognised that with his admirable programme notes ahead of the derby game – now De Fanti must be prepared to fight his corner too. At least the death rattle of the Paolo Di Canio regime was finally heard as the controversial Italian provided belated justification for his Black Cat failings. It didn’t make for pretty listening for anyone hoping one of the Premier League’s most colourful characters might have learned a few lessons from his disastrous start to the season. Sunderland fans ear-wigging might have had further cause to celebrate his departure. At Sunderland, they are still mopping up the debris left by their former manager. Flat-lining confidence and a squad full of disaffected players have been salved by Poyet, who has admirably taken the moral high ground and refused to get into any public appraisal of what was clearly a sub-par summer for Sunderland.